Katie is so grateful for her mother, whom she tries to emulate as a parent. Katie believes mothers should be recognized and applauded every day, not just on Mother's Day. My first Mother’s Day was really sweet. Since my baby boy is 7 months old, it was up to his daddy to plan the day. My husband spent hours making an elaborate brunch while I slept in, he gave me thoughtful gifts and a beautiful card, and he did everything he could to ensure I had a happy, relaxing day. The weather cleared, which allowed us to spend some time outside and provide Killian with his first dip in our pool. I not only felt my husband’s appreciation, but I also felt incredibly grateful for my blessed life. My first Mother’s Day was filled with laughter and love. I banked many special memories. Even though I was not with her on Sunday, I honored my mom through cards and phone calls. I will see her later this week for a special celebration together and to give her a gift from her grandson and me. My mom is my idol. She is who I try to emulate as a mother. She is, in a word, amazing in all ways. I am grateful for her every single day. I think Mother’s Day is an important holiday because it reminds us all to take a moment and give thanks to the mom or mother-figure in our lives. Growing up, my Dad, sisters and I would plan special events and gifts for my mother. My father showed us how to make the day meaningful for the most special woman in our lives, and we delighted in her happiness. My sisters and I still enjoy showing our mother how indescribably grateful we are to have her as our mom. We always knew we had an incredible mother, but as we have grown older, we have realized the infinite extent of our mother’s love. It is something to be acknowledged and applauded. 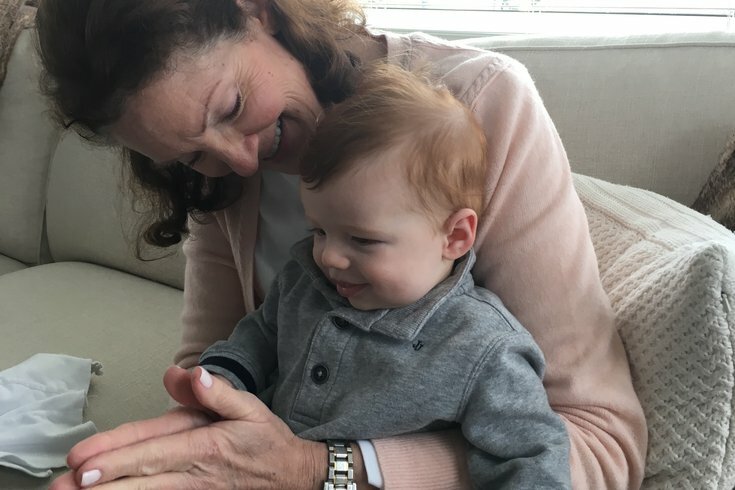 While I appreciate and enjoy Mother’s Day, especially now that I am a mama myself, I encourage you to broaden your outpouring of love and support for mothers from one holiday to 365 days a year. This may sound self-serving, but I am not making this request on my behalf. My husband and young son truly make every day feel like Mother’s Day for me because I always feel loved and appreciated. I know firsthand that support, encouragement, consideration and acknowledgment have helped me in countless ways as a new mother. And I know there are a lot of other really great, devoted, loving, selfless, hardworking mothers out there who deserve to feel the same. I urge you to always make your mother or mother-figure a priority in your life. Mothers, grandmothers, aunts, friends and any women who have helped you along the way need and deserve love and support for who they are, all they give and what they do to make their families and communities better. Say it often. Write it in a card. Send it in a text. Do not underestimate the importance of a simple thank you. You are never too old to hug and kiss your mother. Liberally give affection to the special women in your life. Mothers devote 24/7 to their children when they are young. Spending time together is one of the greatest gifts to give your mom, especially once you are older. We all appreciate when someone calls and says, “How are you?” Do this for your mother at least once a week. Women love flowers. Send her something that will continue to bloom, like an orchid, and she will always be reminded of your appreciation. James Taylor sings, “Shower the people you love with love.” When you show the mothers and women in your life how much you care, how much they mean to you, and how much you respect their hard work and sacrifice, not only will they feel great, but you will, too. You will also set a good example for the next generation, like how my father showed me and how my husband is guiding our son. Life gets busy. Days fly by. Don’t forget that there is a woman in your life who always made you her priority. She should be one of yours, too. How do you show the most important woman in your life that you appreciate her? Share with me and other parents in the comments section below or tweet me @ThePhillyVoice and @KathleenEGagnon.